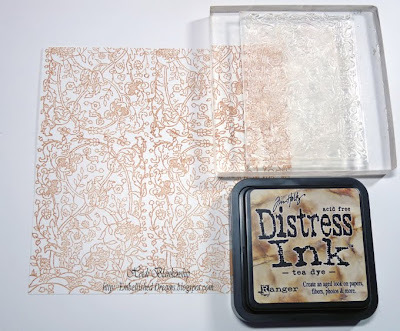 Spellbinders Guest Desinger Post and Shrink Art! Good morning! 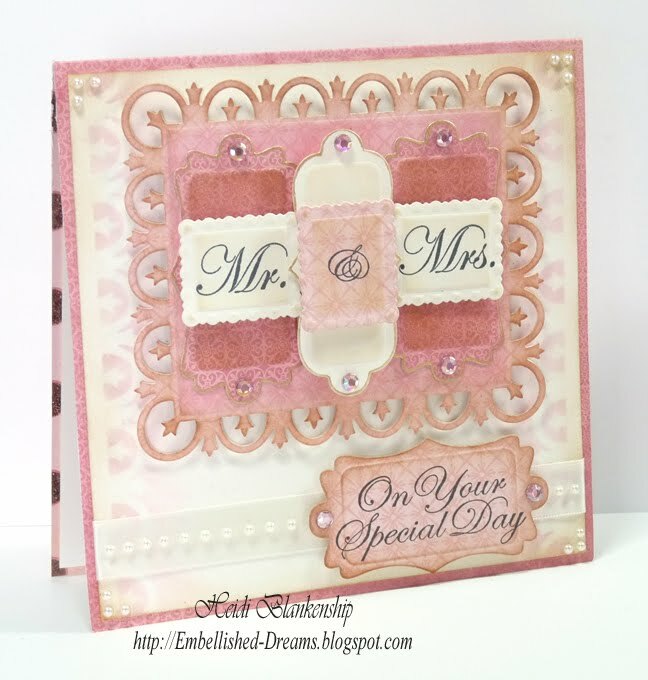 Today, is my last Guest Designer post on the Spellbinders Blog. 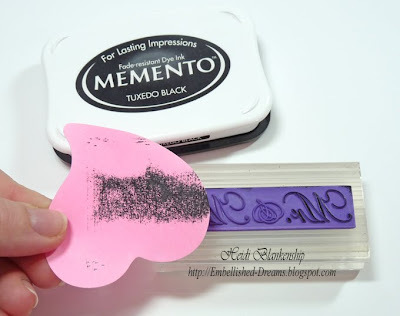 I have designed a pretty Valentine's Day Pin with Shrink Art and a full step-by-step tutorial to share with you. 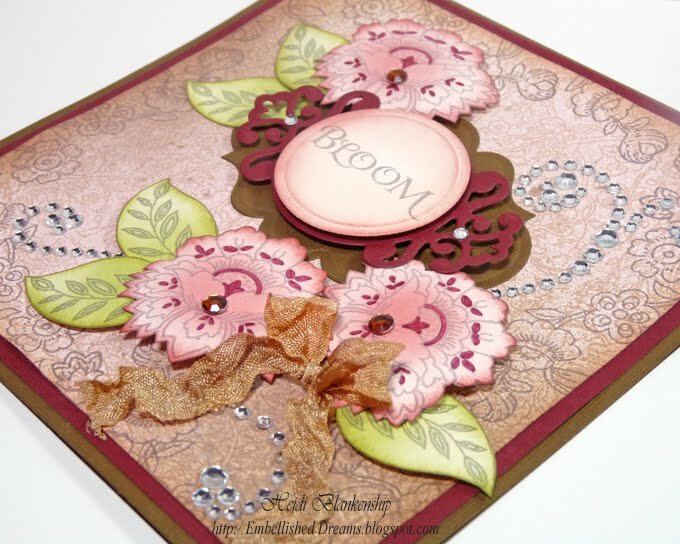 I hope you will hop on over to the Spellbinders Blog and check it out! I want to say a special Thank You to Spellbinders and the wonderful team of designers for the Spellbinders Blog--Beth, Margie and Holly!! It has been Fantastic working with these talented ladies!! Thank you so much for stopping by today and happy creating! Want2Scrap Sneak Peek Day #6, #7, #8, #9!! I was able to get into the doctor and get on some meds so hopefully *keeping my fingers crossed* I will be feeling better before I leave on Thursday for CHA!! I am excited about going to CHA--seeing all the New Products, meeting new friends and getting to see some very dear sweet friends that I only get to see once or twice a year at CHA. I want to share a few links with you for the Want2Scrap Sneak Peeks--I don't want to you miss out on seeing the NEW Nestabling™!! Sneak Peek Day # 6--click HERE. Day #6 of the Nestabling™ matches S4-117 Petite Scalloped Circles Small from Spellbinders™--A must have!! Sneak Peek Day #7--click HERE. 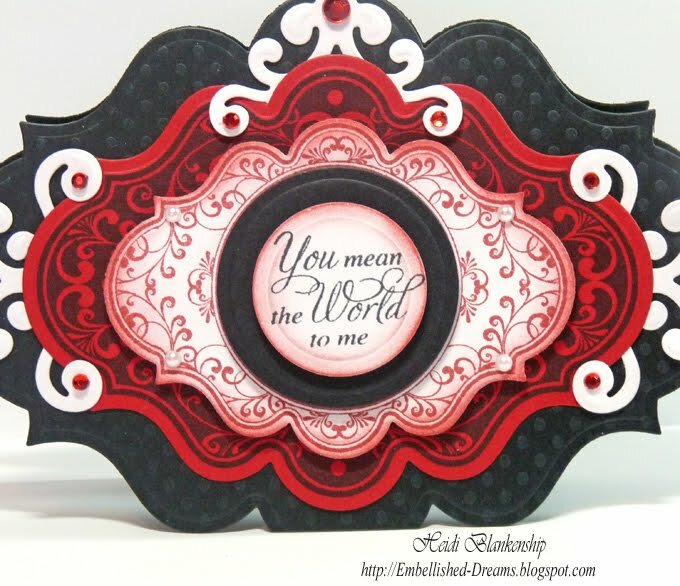 Day #7 of the Nestabling™ matches S4-290 Labels Fourteen from Spellbinders™---LOVE this one!! Sneak Peek Day #8--click HERE. 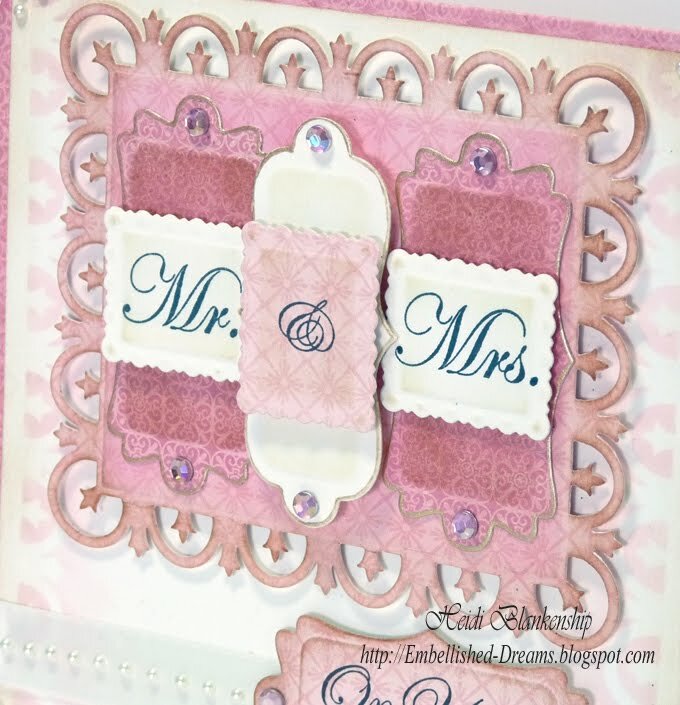 Day #8 of the Nestabling™ matches S4-229 Labels Five from Spellbinders™--Another Gorgeous one!! Sneak Peek Day #9--click HERE. Day #9 of the Nestabling™ matches S4-193 Peony from Spellbinders™--Oh so pretty!! Ok, I think we are all caught up now--LOL! So much sprakly goodness with all that Nestabling™!! Hello! 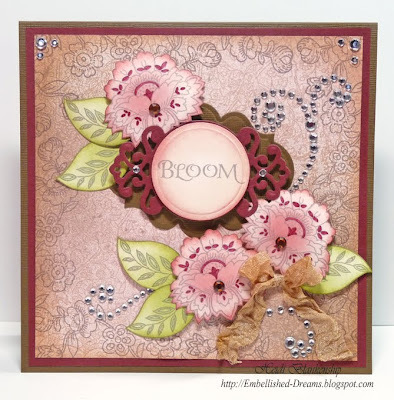 Yesterday, I shared a card with you made with the NEW Art Bloom stamp set from Crafty Secrets. Click HERE to see yesterday's post. 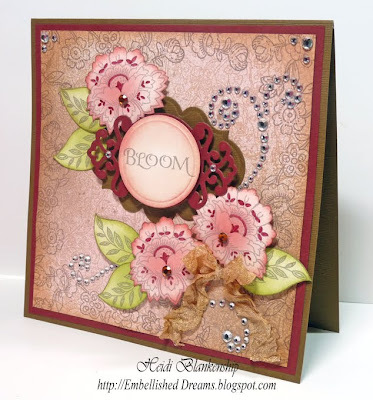 Today, I have another card to share with you using the NEW Art Bloom and Floral Vine stamp sets from Crafty Secrets. Before I share my card with you I want to remind you that Crafty Secrets is having an Online Wholesale Trade Show Party---Online Trade Show is running NOW for retailers until Feb 2/11 in our new online wholesale store. Retailers have to register to buy wholesale but please tell your favorite store we have great Show Specials. If you have a fav store please tell them to apply for our Online Trade Show running Jan 17 to Feb 2/11. The new products will be available the first week of Feb! 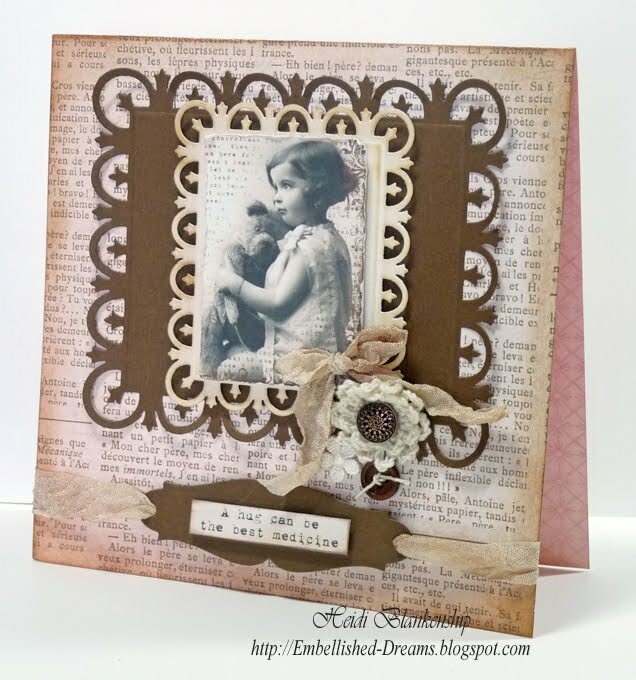 Here is a list of the NEW Releases that Sandy is sharing on the Heartwarming Vintage Blog. Next week there will be more NEW Surprises! 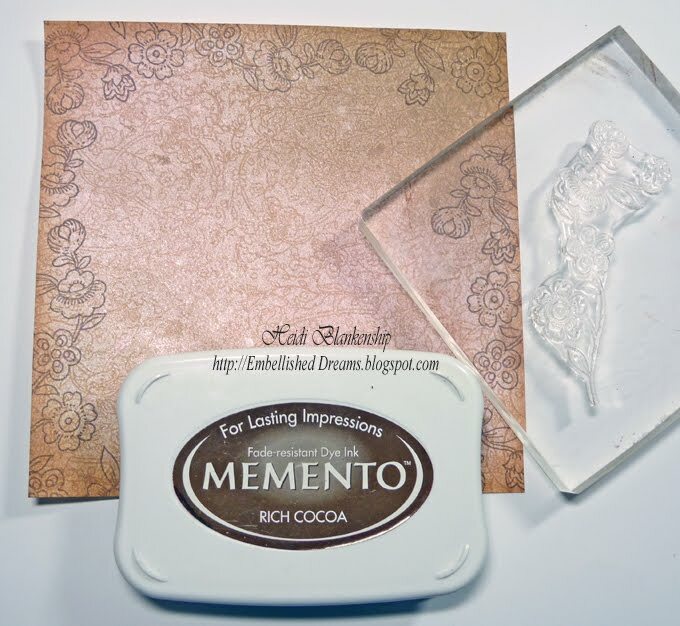 Be sure to hop on over to the Heartwarming Vintage Blog to check out all of the fantastic art samples, see the NEW Releases and have a chance to win some sweet Blog Candy!! Ok, now we can move on to the card. *wink* Here is the card I designed using Art Bloom and Floral Vines from Crafty Secrets. 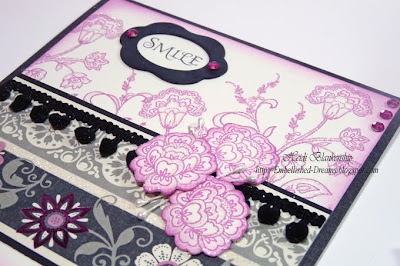 It's the same stamp set but a totally different look from yesterday's card. To start I used the Floral Vine stamp from Crafty Secrets to create the background. I used Tea Dye Distress Ink and stamped on to Simply Smooth White cardstock from Discount Card Stock. 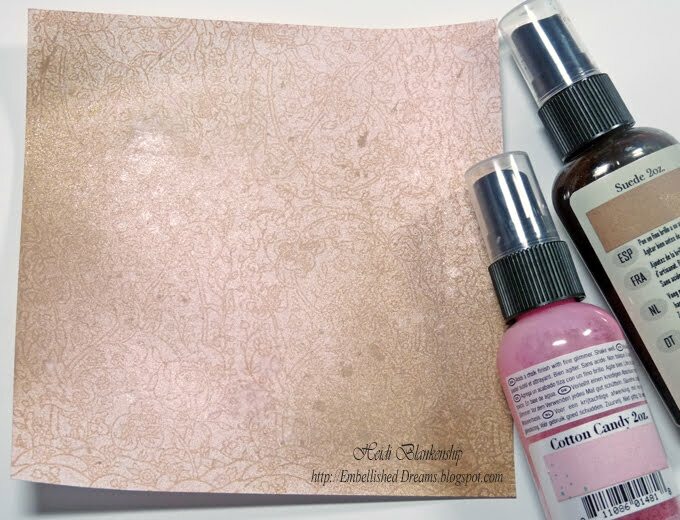 Next I used Suede Glimmer Mist and Cotton Candy Chalk Mist from Tattered Angels and lightly misted the paper. I let the mist set for a few seconds and then I place a paper towel on top and use a brayer to go over the entire piece and pick up the excess Glimmer Mist. Doing this will give you a very soft and blended look. I used Tea Dye Distress Ink to ink the edges. To finish off the background paper I stamped one of the floral image from Art Bloom around the edges of the paper using Rich Cocoa ink. To create the flowers I stamped flower images from Art Blooms with Rich Cocoa ink and used Tattered Rose and Fired Brick Distress Inks to color the images. I inked up a cotton ball and moved in a circular motion to add color. Next, I hand cut the flowers and leaves. The leaf stamp is also from Art Blooms. 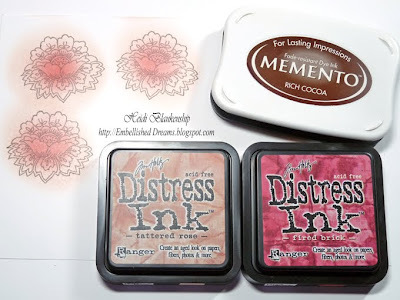 I stamped the images using Rich Cocoa ink and colored the leaves using Shabby Shutters (not shown) and Peeled Paint Distress Ink. I added a little colored detail using Copic markers. Then I inked the edges of the flowers with Fired Brick and the leaves with Peeled Paint. Here is a close up of the flowers. I added an amber rhinestone to the center of each flower and some custom tinted crinkle seam binding and swirly rhinestones. 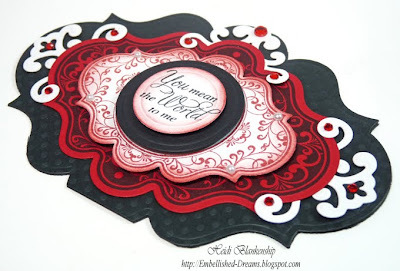 I stamped the sentiment using Rich Cocoa ink, cut/embossed using the Grand Calibur™ from Spellbinder™ and S4-114 Classic Circles Large #3 die template. 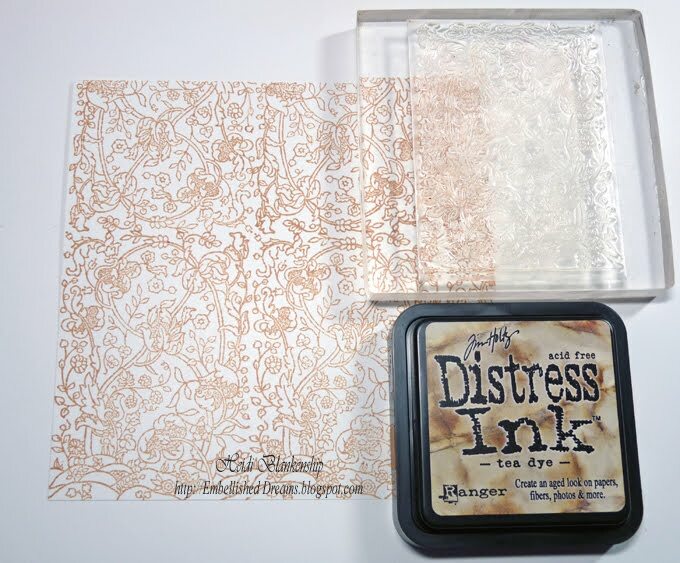 Then I inked the edges with Tea Dye and Fire Brick Distress Ink. 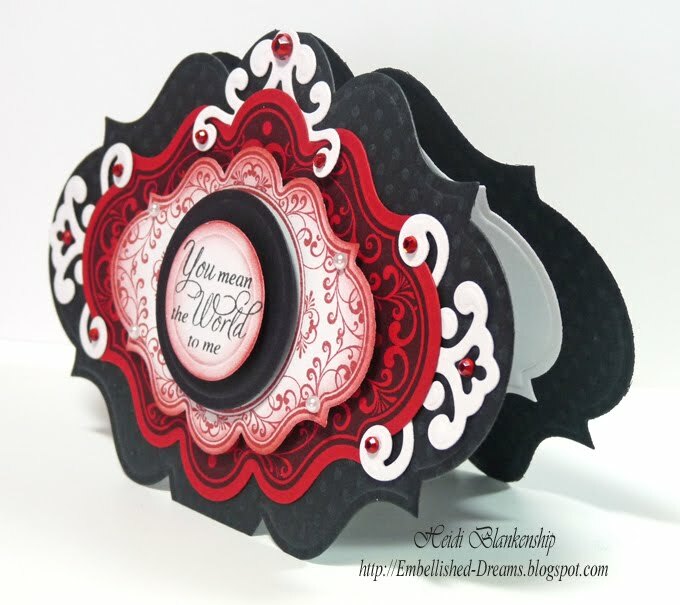 I used S5-035 Parisian Accents to create the flourished circle and S5-026 Labels Twenty #3 die template to create the decorative label. Here is a close up of the sentiment. 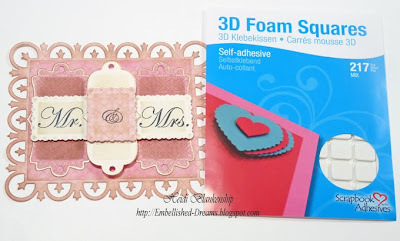 I layered the flowers and diecut using 3D Foam Squares from SCRAPBOOK ADHESIVES By 3L™. Thank you so much for stopping by today and don't forget to hop on over to Crafty Secrets Heartwarming Vintage Blog and see all the new and wonderful releases!! Want2Scrap Sneak Peek Day #5!! 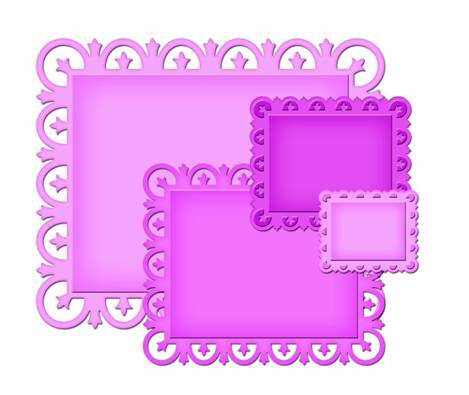 Today is Sneak Peek Day #5 at Want2Scrap and they have another Fabulous set of Nestabling™!! Today's Sneak Peek matches S4-246 Labels Eleven die templates from Spellbinders™. Click HERE to check it out and while you are there leave them a little love and have a chance to win some bling, bling--Nestabling™!! Thanks so much for stopping by! Be sure to check back--I will be posting another Sneak Peek card with Crafty Secrets Art Blooms stamp set and a step-by-step tutorial. Hello! 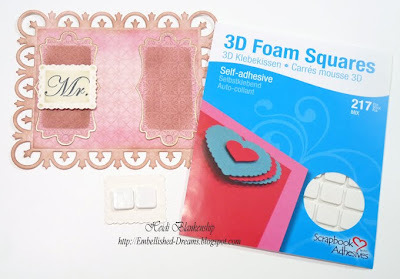 Before I get started with my card I want to let you know all of the exciting things going on over at the Crafty Secrets Heartwarming Vintage Blog! 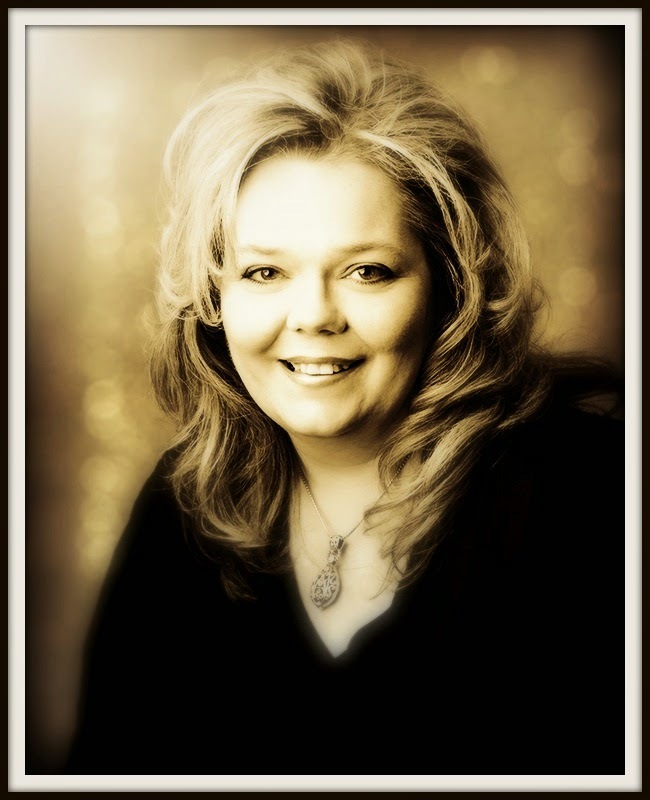 Sandy Redburn, owner of Crafty Secrets is having an Online Wholesale Trade Show Party---Online Trade Show is running NOW for retailers until Feb 2/11 in our new online wholesale store. Retailers have to register to buy wholesale but please tell your favorite store we have great Show Specials. If you have a fav store please tell them to apply for our Online Trade Show running Jan 17 to Feb 2/11. The new products will be available the first week of Feb! 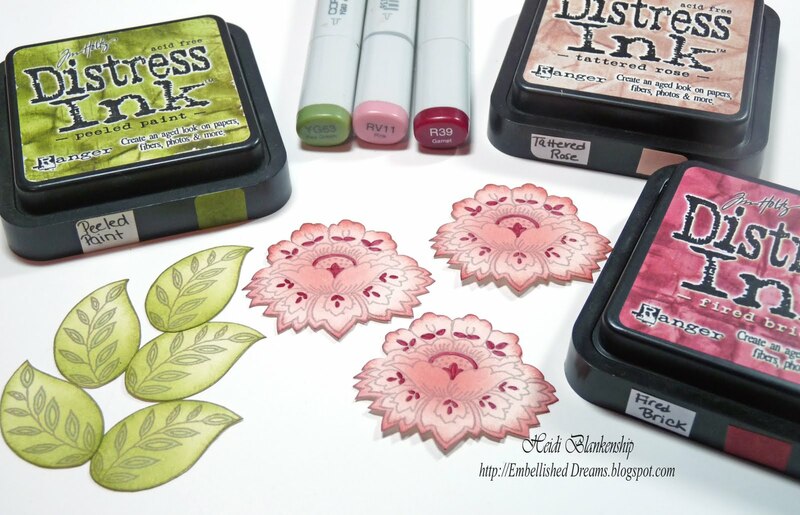 Tomorrow Sandy will be showing the NEW SL38 Art Blooms and SM35 Floral Art Stamps and several art samples using these two beautiful stamp sets. Ok, on to my card! 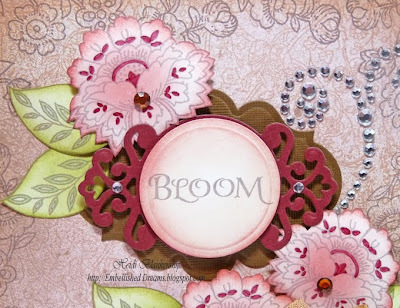 I have a Sneak Peek for you using the NEW Sl38 Art Blooms stamp set from Crafty Secrets. Art Blooms stamp set is FULL of Beautiful floral images, leaves, butterfly, bird and sentiments. 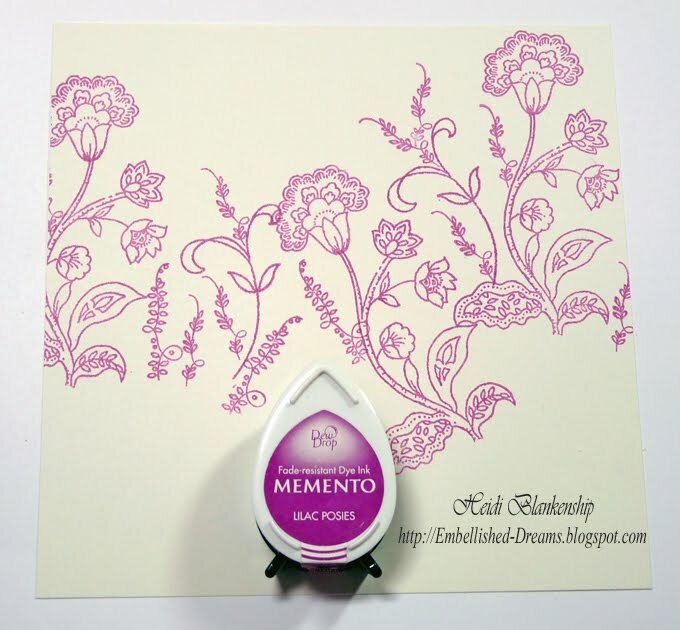 To start I stamped floral images, vines and leaves from the Art Blooms stamp set onto Simply Smooth Ivory cardstock using Lilac Posies ink. Then I inked the edges with the same ink. I added a strip of black cardstock and layered it with a piece of patterned paper from The Black Currant Stack from DCWV and place it on the card front. Then I added Sweet Chips Chipboard corner accents from Crafty Secrets. The Sweet Chips started out white and I rubbed my black ink pad over them to get a good coverage. Then I used Copic marker 100 Black to do the edging. 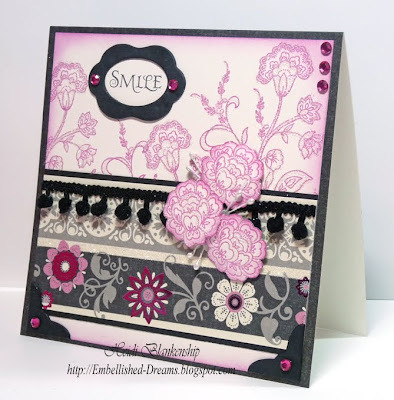 I stamped the Smile sentiment with Tuxedo Black ink and used the same ink to color the Sweet Chips frame. 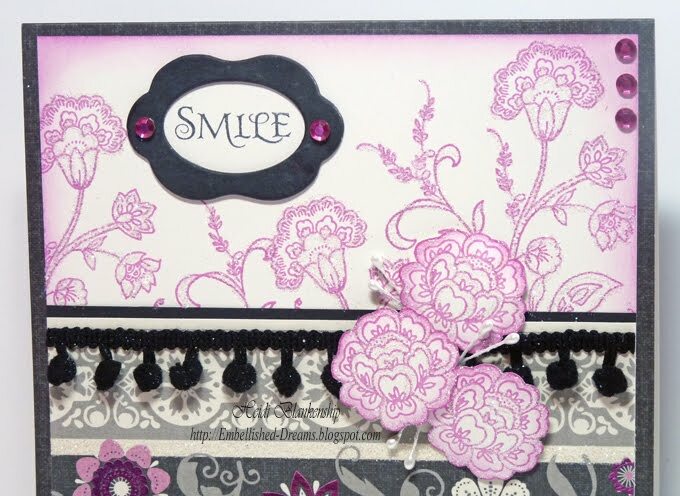 I added black pom-pom trim and stamped one of the flower images three times, hand cut and inked the edges with Lilac Posies ink. I added glitter to the all of the flowers, pearl sprays and rhinestones. Here is a close up of the flowers. Thank you so much for stopping by today! Don't forget to check out the Crafty Secrets Heartwarming Vintage Blog to see more New Releases. I will be back tomorrow and show you another card using the Art Blooms stamp set. 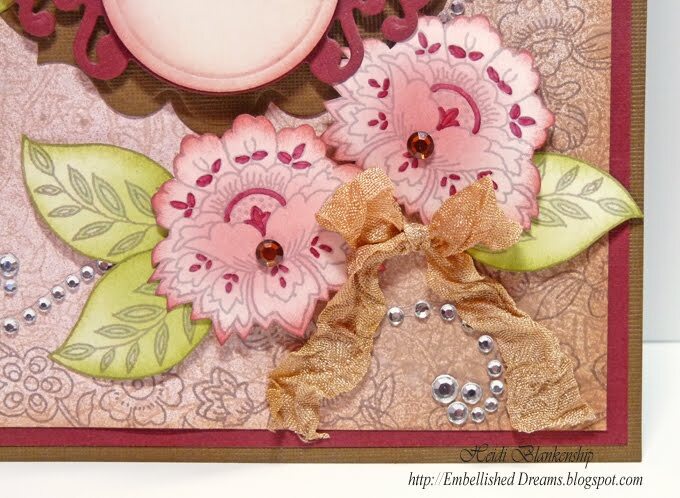 Want2Scrap Sneak Peek Day #4! Good morning! 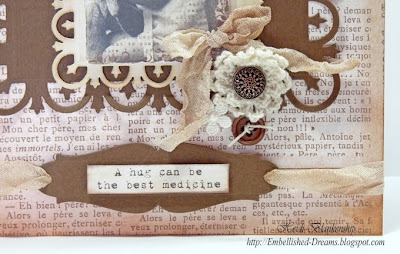 Are you ready for another Sneak Peek from Want2Scrap? Today is Sneak Peek Day #4 and you don't want to miss out!! Nestabling™ to match perfectly with S4-161 Labels One from Spellbinders™!!! 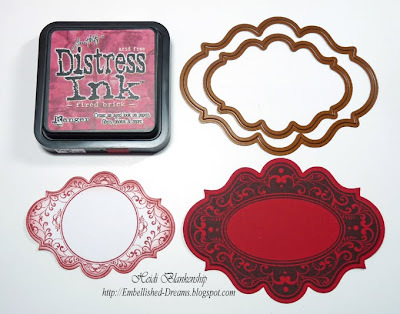 I know S4-161 Labels One is one of my favorite die templates and I know it's a favorite to many of you---I hope you are as excited about the NEW Nestabling™ as I am!!! I can't wait to see it at CHA!! Want2Scrap is giving away some sweet Blog Candy to 5 Lucky Winners!! Lots of Nestabling™ goodness going on over at Want2Scrap--click HERE to check it out!! Thanks so much for stopping by and I hope to be back a little later today with some artful eye candy. *wink* I hope you have a Fantastic Day!! Hello! I had hoped to get this post up yesterday but it just didn't happen so today is the day--LOL! 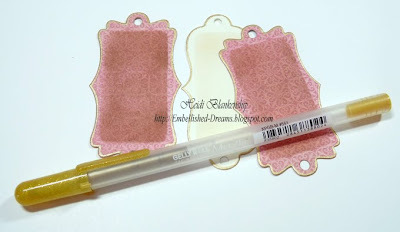 I have a fun little shape card to share with you using the NEW JustRite Cling Kindness stamp set from JustRite Stampers. 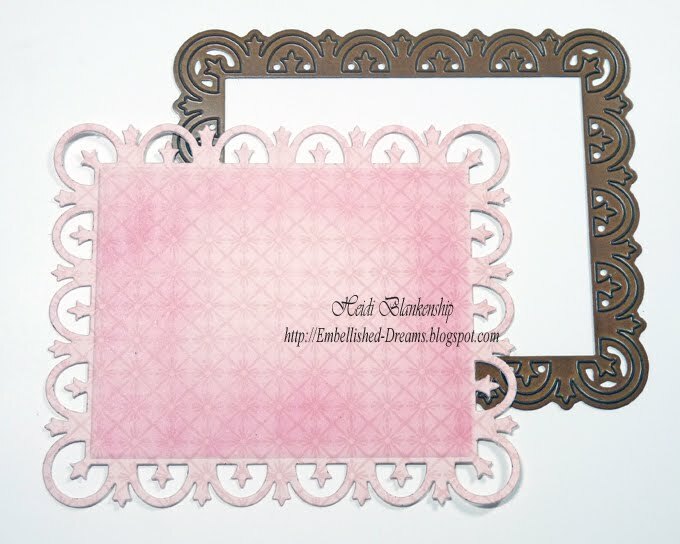 This stamp set includes two beautiful frames, four sentiments and four flourish accents. 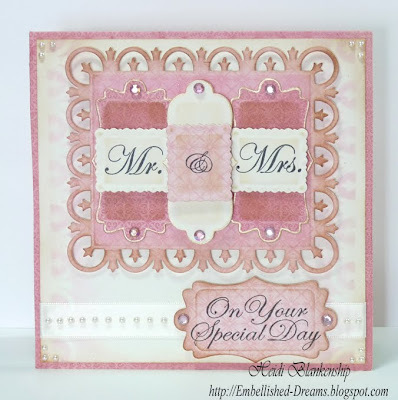 The frames in this stamp set match the NEW Spellbinders S5-026 Labels Twenty die templates #3, #4. 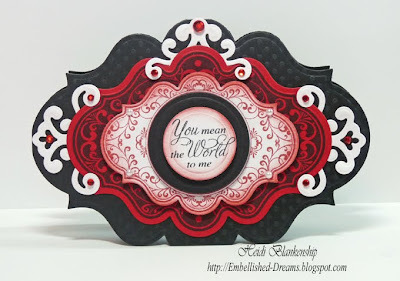 Ashley Cannon Newell revealed the S5-026 Labels Twenty die templates on her blog A New Design for the Spellbinders To DIE For!! WINTER RELEASE Blog Frenzy. Click HERE to see what Ashley created for the reveal. Here is the card that I designed using JustRite Cling Kindness stamp set and S5-026 Labels Twenty die templates #3, #4 and #5. 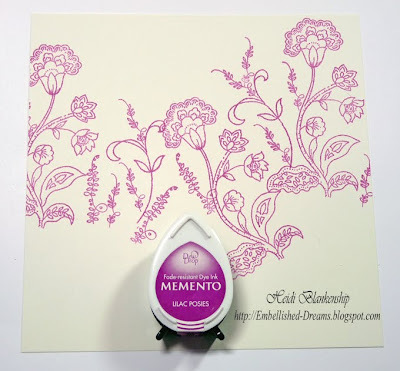 I used the largest die template, #5 in the S5-026 Labels Twenty die set to create the shape card and just trimmed a little off the bottom edge so it would stand upright. 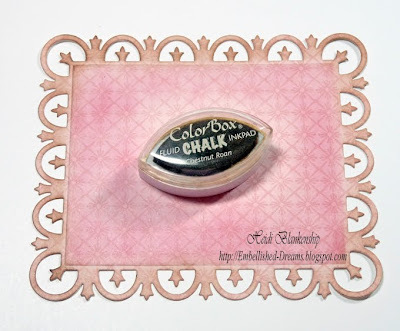 Another fun thing about this stamp set is the center circle in the smaller frame was designed to fit the JustRite Original Ribbed 1-5/8'' stamps so you can mix and match the Original Ribbed stamps with the New Cling stamp sets! To start I inked up the larger frame using Tuxedo Black ink and stamped onto Red Pepper Linen Cardstock from Discount Card Stock. 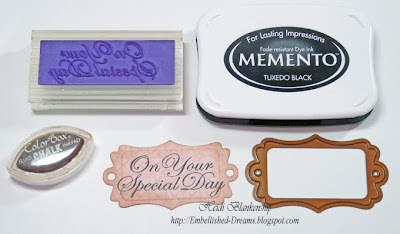 Then I used the Grand Calibur and S5-026 Labels Twenty die template #4 to cut/emboss the label. Next I stamped the smaller frame from the Kindness stamp set using Fired Brick ink and Simply Smooth White cardstock from Discount Card Stock. Then I used the Grand Calibur from Spellbinders and S5-026 Labels Twenty die template #3 to cut/emboss the label. In this photo you can see the die templates and the finished label die cuts. For the smaller frame I inked the edges with Fired Brick ink. Here is a close up of the frames and sentiment. 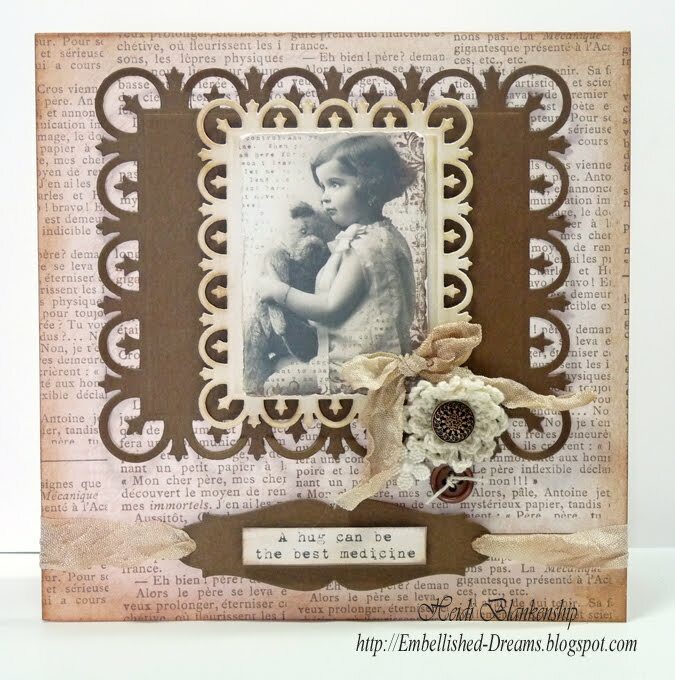 The sentiment is also from the Kindness stamp set. I used Tuxedo Black ink and Simply Smooth White cardstock for the sentiment. 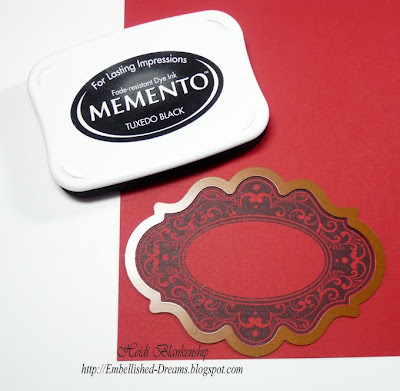 I used the Grand Calibur™ and S4-116 Standard Circles Small die templates #2, #3. The black paper is Dotted Swiss Pepper from Discount Card Stock and I used the black die cut the layer with the sentiment. I used the Grand Calibur™, S5-034 Parisian Accents and S5-035 Parisian Motifs to cut/emboss the accents with Simply Smooth White cardstock. I added the red rhinestones and white pearls for a little touch of bling. 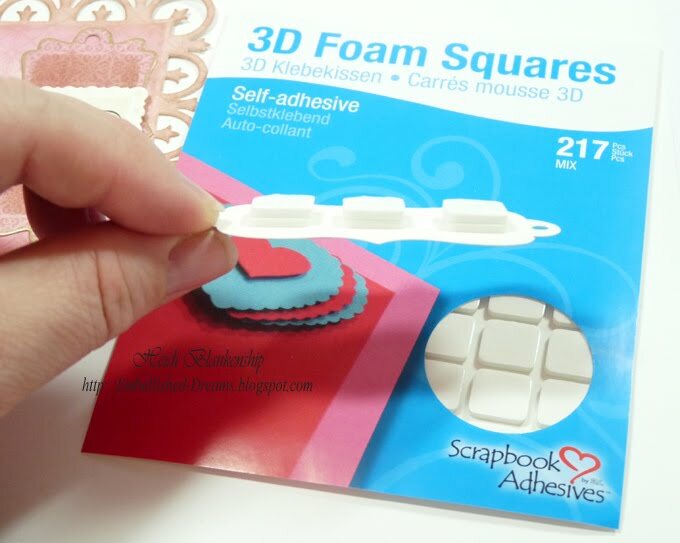 To pop the layers I used 3D Foam Squares from SCRAPBOOK ADHESIVES By 3L™. Thanks so much for stopping by today! 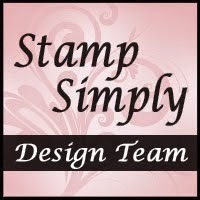 I hope you are enjoying all of the New Releases from JustRite Stampers as much as I am! Want2Scrap Sneak Peek Day #3! Hop on over to Want2Scrap to see Sneak Peek Day #3 of the NEW Nestabling™!! Bling to match Nestabilites™ how prefect it that? You don't want to miss out--and they are giving away some pretty sweet Blog Candy to 5 Lucky Winners!! OMGosh so many exciting thing going on right before CHA--NEW Releases and Sneak Peeks everywhere you look!! One of the Newest and Hottest Sneak Peeks is over at Want2Scrap!! Have you heard of Nestabling™??? Nestabilites™ + Bling = Nestabling™!! How exciting is that!! 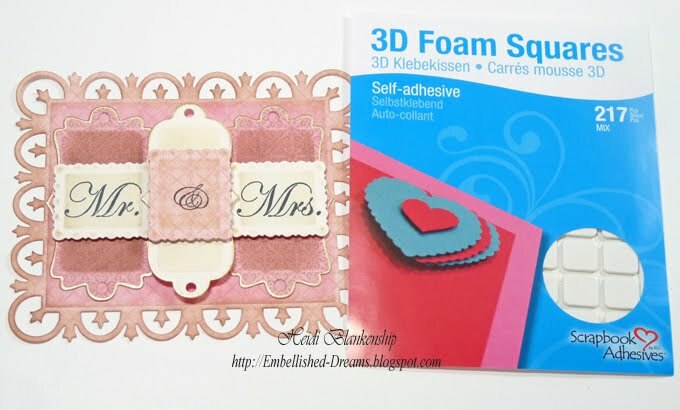 I know so many of you out there LOVE your Nestabilites™ and now you will be able to have Gorgeous, Beautiful bling to add to your Spellbinders™ die cuts!!! Please hop on over and check out Day One Sneak Peek and Day Two Sneak Peek---you don't want to miss out!! They are also giving away the complete line of Nestabling™ to 5 Luck People!!! Thanks so much for stopping by! I will be back a little later with another New Release from JustRite Stampers--a card and a tutorial. Welcome to the eighth day of the Spellbinders Paper Arts "To DIE For!!" Winter Release Blog Frenzy! Spellbinders™ Paper Arts’ has been working hard to bring you another selection the most innovated and beautiful die templates in the world. The To DIE For!! Winter Release Blog Frenzy allows you a sneak peek of the products we’re introducing at the Craft and Hobby Association trade show later this month. The To DIE For!! Winter Release Blog Frenzy is from January 10 - 18, featuring 16 fabulous Designers and prizes To DIE For!! Win today’s new die templates! Be eligible to win the Grand Prize by entering each day from each blog! One entry per person, per blog please, on the designated days! Each contest is open for 48 hours to enter the contest! You have until 12:01a.m. January 19, 2011 Central Standard Time to enter my contest. Be sure to read the Official Rules before entering so that your entry will be valid! Daily contest winners are randomly chosen from valid entries, as stated in the Official Rules. The winners will receive an email within 24 hours of the contest’s closing. The winners will have 72 hours to reply to that email to claim prize. If a winner fails to respond within 72 hours, a new winner will be drawn. Entrants that send valid contest entry emails to each of the contests will be automatically considered for the Grand Prize. 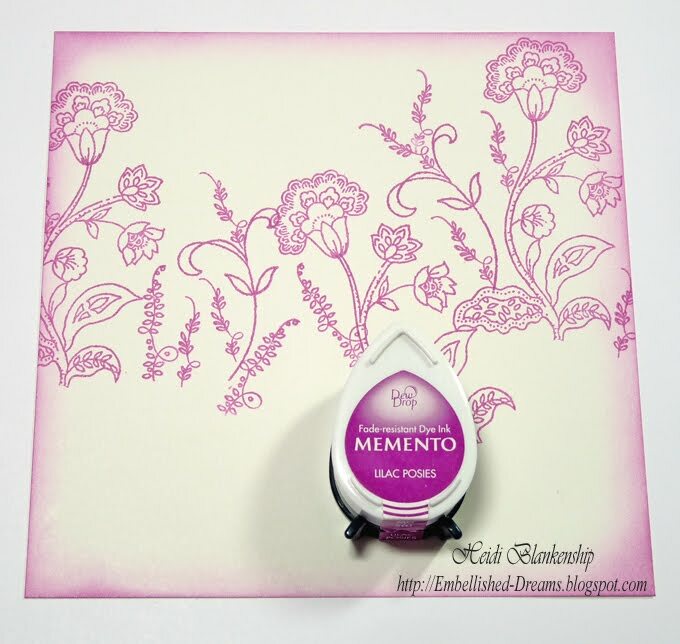 The Grand Prize has a retail value of over $800, and includes Spellbinders CHA Winter 2011 release die templates revealed in the Spellbinders To DIE For!! Winter Release Blog Frenzy and a Grand Calibur™ die cutting/embossing machine! I’m thrilled to share S4-317 Fleur de Lis Rectangles and S4-322 Grommet Tags with you. Today, I have two projects to share with you. For the first project I created a layered card with a step-by-step tutorial. Before I start with the tutorial I want to show you a couple photos of the die templates. Here is S4-317 Fleur de Lis Rectangles. 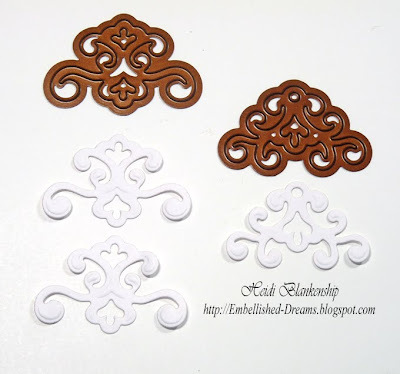 This set includes four beautiful die templates with a fancy Fleur de Lis edge. I have place a quarter in the photo to give you an idea of the size. 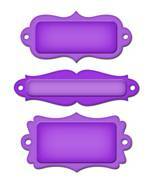 The second die template set is S4-322 Grommet Tags. This set includes three die templates for creating fantastic tags. The holes are already cut so you can thread them with a thin ribbon, add eyelets or brads or top them off with rhinestones or pearls. 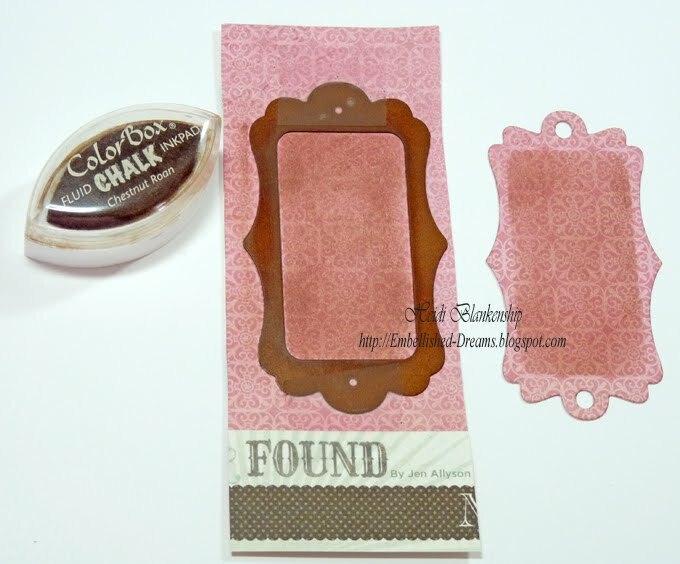 To start I used the Grand Calibur and S4-317 Fleur de Lis Rectangles #4 (with #1 as the smallest) to cut/emboss a piece of Madison Avenue "Girlfriends" J'adore paper from My Mind's Eye Lost & Found Collection. Using the die template as a stencil, I left the paper in place and used the Copic airbrush system and Copic marker R81 Rose Pink to airbrush. Here is a picture after I airbrushed the die cut. 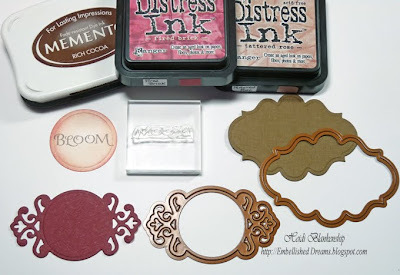 Then I inked the edges of the die cut with Chestnut Roan chalk ink from Clearsnap. Next I used the Grand Calibur and S4-322 Grommet Tags #1, #3 to cut/emboss the tags. I made two tags with Madison Avenue "Pretty" Polka paper from My Mind's Eye Lost & Found Collection using #3 die template and inked the inside with Chestnut Roan chalk ink from Clearsnap. 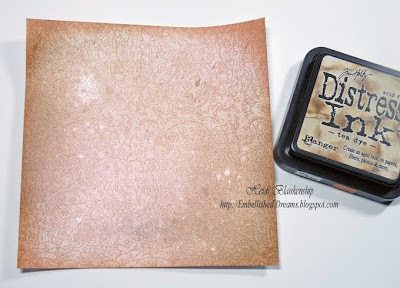 For the other tag I used Simply Smooth Ivory cardstock from Discount Card Stock and inked the inside with Antique Linen Distress Ink from Ranger. For the next step I outlined the tags using a Gelly Roll Metallic Gold pen from Sakura. 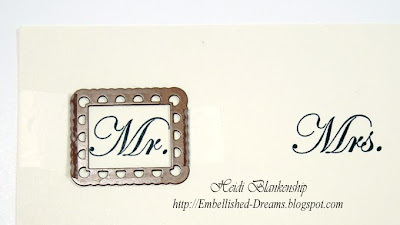 The Mr. & Mrs. sentiment stamp is from JustRite Originals JB-09235 Wedding Nested Sentiments & Verse from JustRite Stampers. 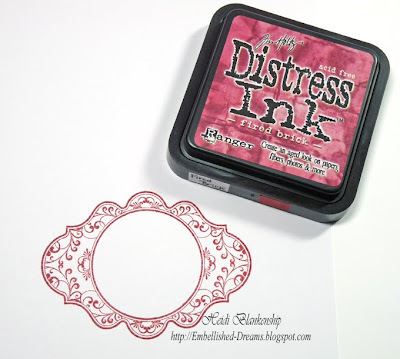 Here's a tip--when you only want to ink part of a stamp use a Post-it note to cover up the area where you don't want to apply ink. Ink the stamp, remove the Post-it note and stamp. I used the Grand Calibur and S4-317 Fleur de Lis Rectangles #1 to cut/emboss the small rectangle die cuts. For Mr., Mrs. I used Simply Smooth Ivory cardstock from Discount Card Stock and for the & symbol I used Madison Avenue "Girlfriends" J'adore paper from My Mind's Eye Lost & Found Collection. I also inked the die cuts with Antique Linen Distress ink from Ranger. Now I can start layering the tags on to the larger rectangle. I placed two of the tags down and used the little points on the Fleur de Lis to line them up. Then I added the smaller rectangles using 3D Foam Squares from SCRAPBOOK ADHESIVES By 3L™. Next add the center tag. I wanted to have to center tag pop up a little higher then the two little rectangles so I added two layers of the 3D Foam Squares. Here is a photo once all of the layering was done. Here is a close up on the finished card. I added some pink rhinestones over the holes on the tags. 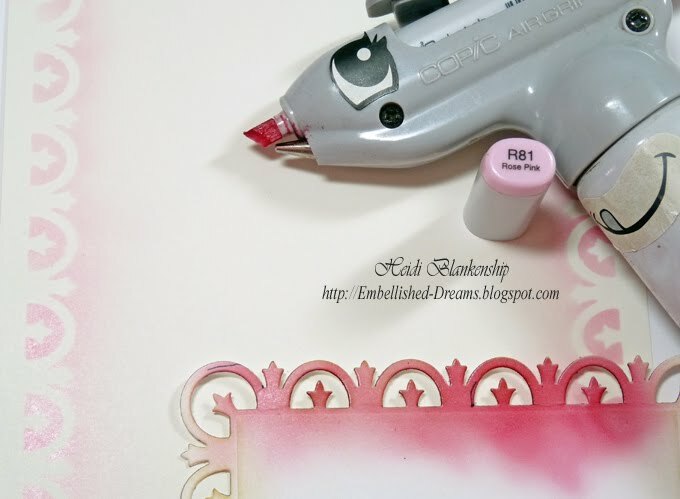 To create the background for the card I used the Grand Calibur and S4-317 Fleur de Lis Rectangles #4 to make a die cut and use the die cut as a stencil for airbrushing. 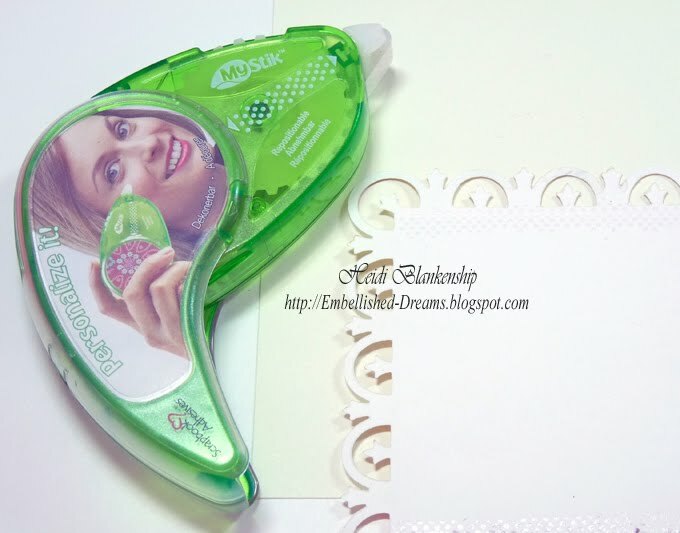 To help hold the diecut in place while I was airbrushing, I used My Stik™ Repositionable Dots Dispenser from SCRAPBOOK ADHESIVES By 3L™. 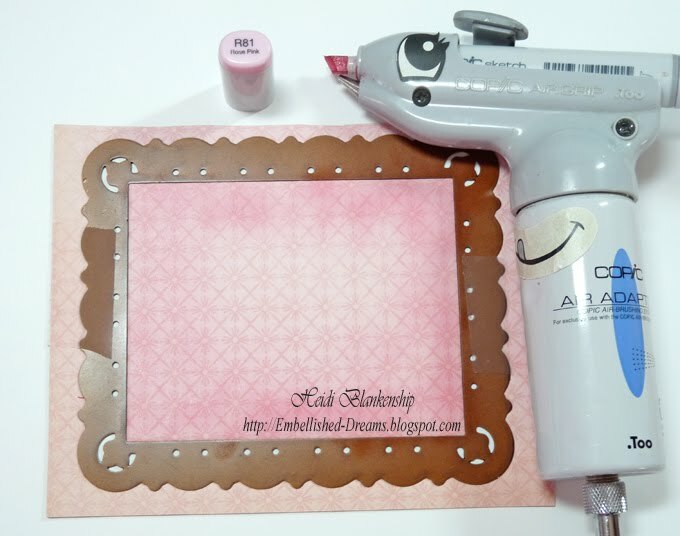 I used the die cut as a stencil and airbrushed the edges of a piece of Simply Smooth Ivory cardstock from Discount Card Stock using the Copic airbrush system and Copic marker R81 Rose Pink. For the tag with the sentiment I used a stamp from JustRite Originals JB-09235 Wedding Nested Sentiments & Verse from JustRite Stampers. I stamped the sentiment using Tuxedo Black ink and then cut/embossed using the Grand Calibur and S4-322 Grommet Tags #3. Then I inked the edges with Chestnut Roan chalk ink from Clearsnap. I added the tag to the bottom of the card and added a ribbon, rhinestones and pearls. I also added pearls to the corners. 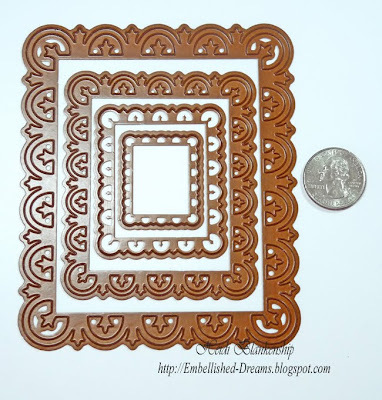 Click here for the Spellbinders paper Arts To DIE For!! Winter Release Rules. 1) Send your email entry to: Thank you so much for all of your wonderful comments!!! This contest is now closed. 2) The subject must be Fleur de Lis Rectangles/Grommet Tags. I love your comments! Unfortunately your comment does not count towards a contest entry, so be sure to enter and then leave a comment! New Year - New Look!